In January I launched the book ‘Treasure Chest Salalah-Dhofar, Oman Serial 1′ in English and in Arabic. It is my second book about the place I live already for 5 years. Publishing a book is still a thrilling moment. The things you have written down in private are suddenly common good. This month, from Februar 26th to March 8th the book will be on display at the Muscat International Book Fair at Family Bookshop English section 2 and 3. The first book fair in Muscat was held in 1992. Now the annual Muscat International Book Fair is the third biggest book exhibition in the Middle East, after Egypt and Lebanon. More than 500 publishers from 26 Arab and foreign countries will participate in the 18th edition. The number of official participants is 57. The total number of titles listed on the website is 140.000. The fair will provide new services like the online registration, expansion of the mobile index by the iPad, more information centers and of 30 stalls to the existing 800 stalls, besides ISBN of the books. ‘Treasure Chest Salalah-Dhofar, Oman serial 1’ (76 pages- 46 pictures-4 maps) takes you on a journey through a main theme or a so called cliffhanger and tries to give you an insight in to the past, the present and the future of Dhofar Governorate in the south of the Sultanate of Oman on the eastern border with Yemen. Dhofar accounts for one third of the land surface. Salalah is the administrative capital and the second largest city of the country. In this booklet, I tried to be as basic yet as informative as possible in words and with photographs. Every chapter is called DNA, just like the blueprint of all life forms. And as Islam is the blueprint for the daily actions in the Sultanate, every chapter opens with reflections on some important concepts of Islam followed by a Sūrah of the Holy Qur’an, chosen by Kahlan Nabhan al Kharusi, assistant grand mufti. This book takes you on a journey of discovery, like a treasure hunt. 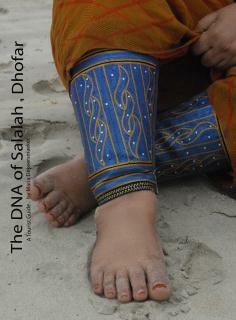 Other books I wrote: ‘The DNA of Salalah, Dhofar. A Tourist Guide,’ an in-depth study. 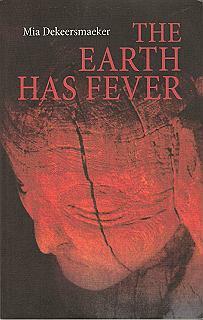 ‘The Earth has Fever’ a novel about climate change. The Muscat International Book Fair at the Oman International Exhibition Center in close proximity to the Muscat International Airport will be open to the public daily from 10am to 10pm, except on Fridays, when it will be open from 4pm to 10pm. The fair will be open only to students on Wednesday, Feb 27, Sunday and Tuesday, March 3 and 5, from 3pm to 10pm. It will be open only to women and female students on Saturday, Monday and Wednesday March 2, 4 and 6 from 10am to 3pm. The book ‘ Treasure Chest Salalah-Dhofar, Oman Serial 1’ can be ordered by the author: mdekeersmaeker@gmail.com, or in the Family bookshops and others in Muscat and Salalah. Tags: Arabic, book fair, Dhofar, English, International, Muscat, Muscat International Book Fair, novel, Oman, Salalah, tourist guide. Bookmark the permalink.